Today we have been celebrating Harvest throughout the school, children have donated tins and packets for the Food Bank, made Scarecrows and also made different types of food to be sold after school. Parents/carers came into school to hear the children sing and then were invited to look around the classes. 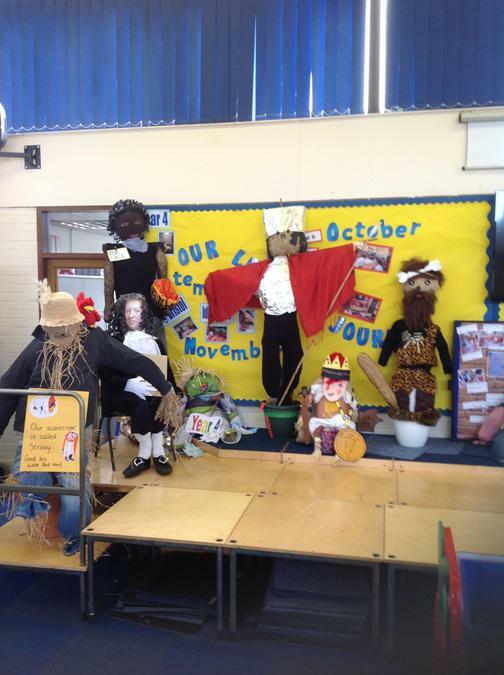 In each class there were wonderful examples of the Scarecrows and food to try , which the children had been busy making.